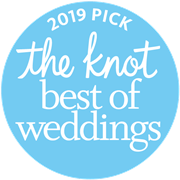 Over the last decade, Cascade Fine Catering has been regarded as one of Connecticut's premier Wedding Facilities. As your guests are welcomed at the main entrance, they will experience the elegance and sophistication of their surroundings. Captured by breathtaking views of our beautiful, newly decorated piano foyer, 20ft cathedral ceilings depicting a sky of magnificent Austrian crystal chandeliers, which is adjacent to picturesque waterfall gardens and terrazzo.